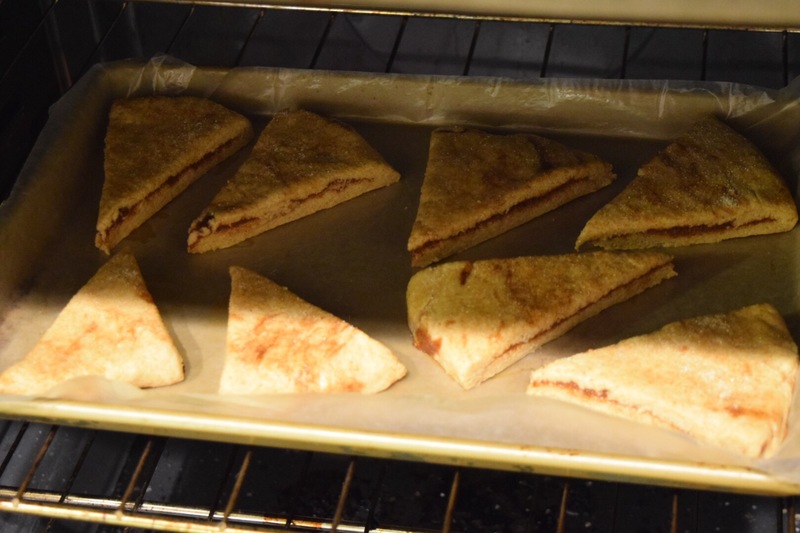 Sour Cream & Cinnamon Streusel Scones – Abbey Co.
What a perfect way to kick off fall with a perfect fall recipe! Wait – no pumpkin?! Haha do not worry, plenty of pumpkin recipes are coming, but I also love cinnamon as a fall flavor and thought I would start with something a little more universal. 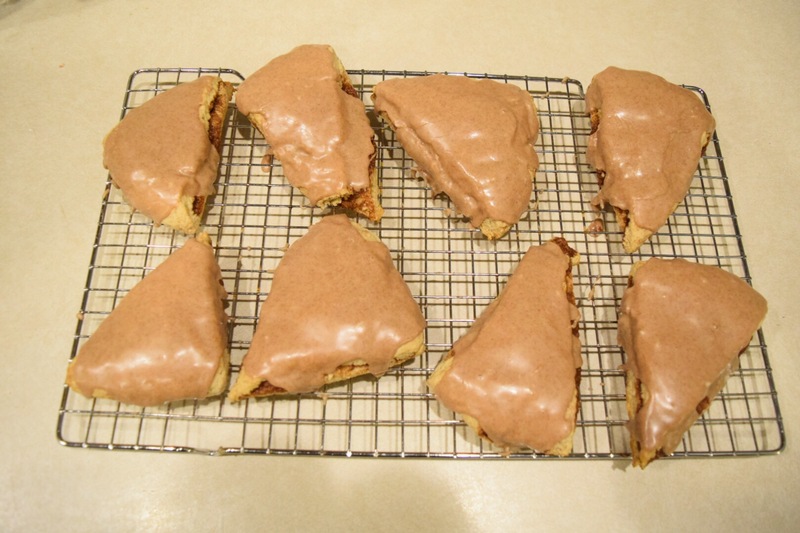 These came about with a craving for those cinnamon chip scones from Panera… boy are those good! Well, many scone recipes call for heavy cream or buttermilk, and I had neither at home. 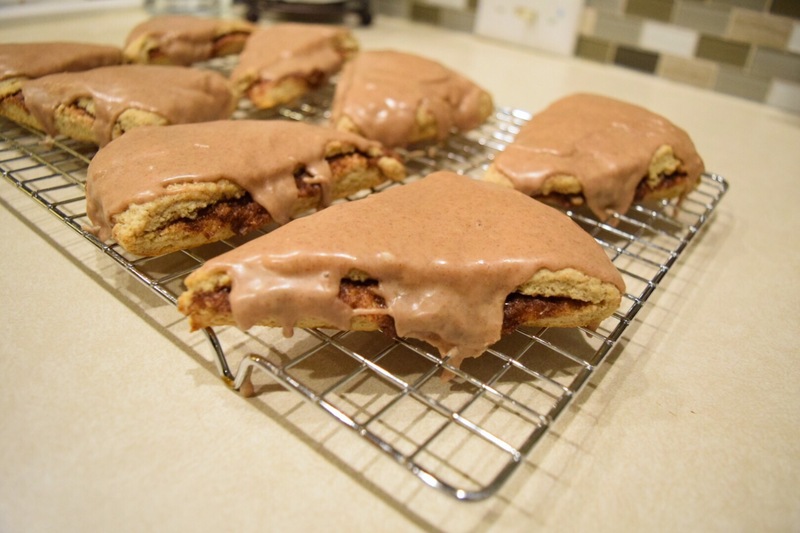 I also have absolutely no idea where one would come across cinnamon chips easily on a blasted Thursday commute home, so I knew I was going to have to get creative on this one. 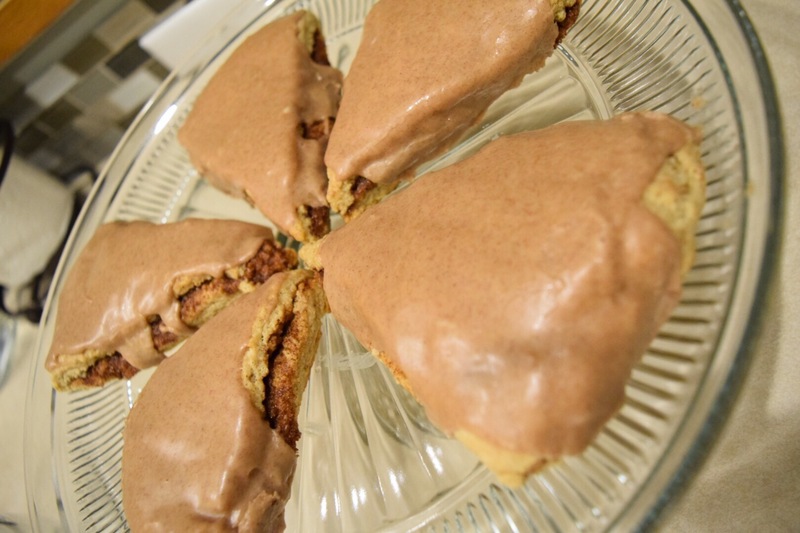 To make these possible, I created a mashup of recipes, combining a sour cream scone base with a cinnamon heavy recipe. 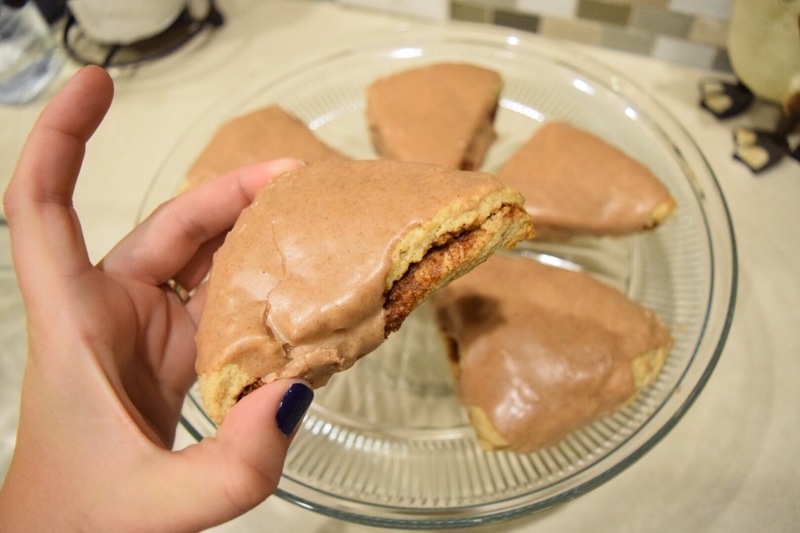 I think the sour cream gives them a great flavor, and with the cinnamon icing on top, these are just perfect! 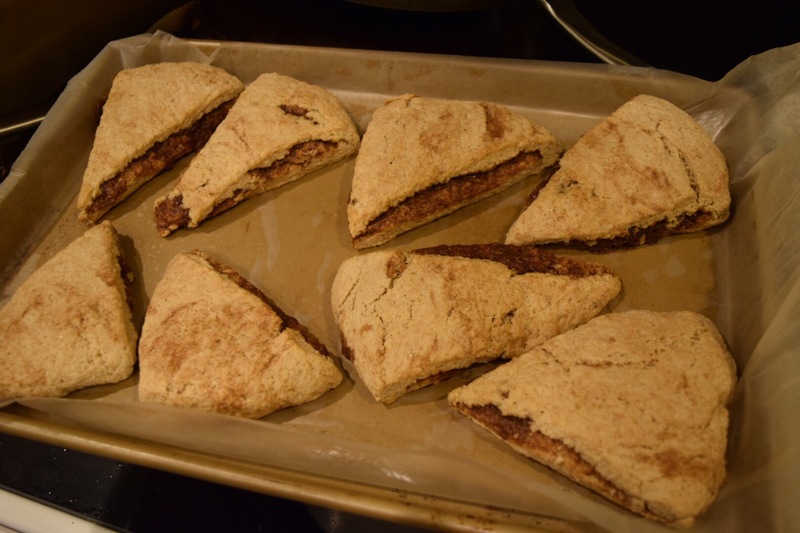 If you have never made scones before, let me tell you that they are quite easy. Scones are the exact same idea as biscuits, where they will turn out best when the butter is ice cold, and handling of the dough is minimal. I prefer making this type of dough in my food processor… I first use my grating attachment to grate my butter, then switch to a blade and simply pulse all my ingredients together until combined. No mixer, minimal handling. Easy! Preheat your oven to 400 degrees Fahrenheit. Using either your food processor or a cheese grater, grate your cold butter until completely shredded. Handle as little as possible so it stays cold. Combine all your dry ingredients in a large bowl (or food processor). In a separate small bowl, mix your sour cream, egg and vanilla. Now, combine all dough ingredients together, either by pulsing in your food processor, or stirring with a fork. Once your dough looks like a coarse grain, press it together into a ball. The next step is to make your streusel. Combine all streusel ingredients in a small bowl and mix well. It will look like a cinnamon/sugar paste. On a lightly floured surface with floured hands, press the ball to make about an 8-inch circle (should be about 3/4 of an inch thick). Now, take your streusel and drop it in tablespoons across the surface of the dough, and spread it so it covers it entirely. 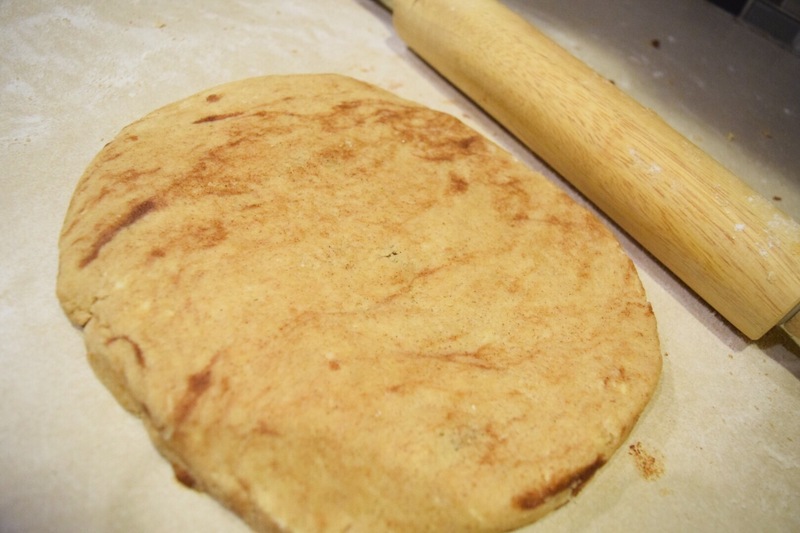 Fold the dough in half to secure the streusel in the middle, and repeat the process again of pressing the dough into an 8in circle, again, 3/4 of an inch thick. Cut your circle into 8 pieces with a sharp knife, and place on a cookie sheet (ideally lined with parchment). Bake for 15-17 minutes until the dough is set and slightly golden. Remove from the cookie sheet to cool. 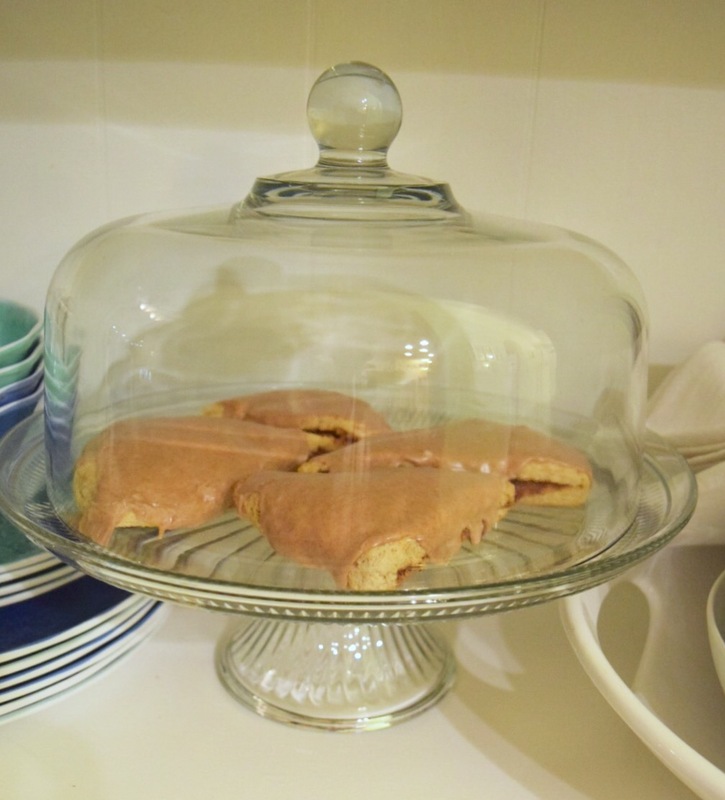 Whisk together your icing ingredients once the scones are cooled. Take a heaping tablespoon at a time and dab it on the top of the scone. With the spoon, gently spread the icing over the surface, allowing it to run over the sides and spread mostly on its own. Serve the scones fresh; at least within 24 hours. I’d have these scones every morning before going to work! You should give the recipe a try! Thank you! I couldn’t really taste the sour cream, I think it just kept the scones from drying out. It was a nice combo! Thank you! It started as a combination of a few recipes as I was out of some ingredients and turned out very well! I hope you enjoy. I’d love to give these a shot! If you have a food processor they are basically the easiest thing ever! i agree, not all fall baking has to include pumpkin!! And these look delicious– tender and with that glaze!! thanks. Next PostNext Mid-October Check-In After my Captain’s Course!